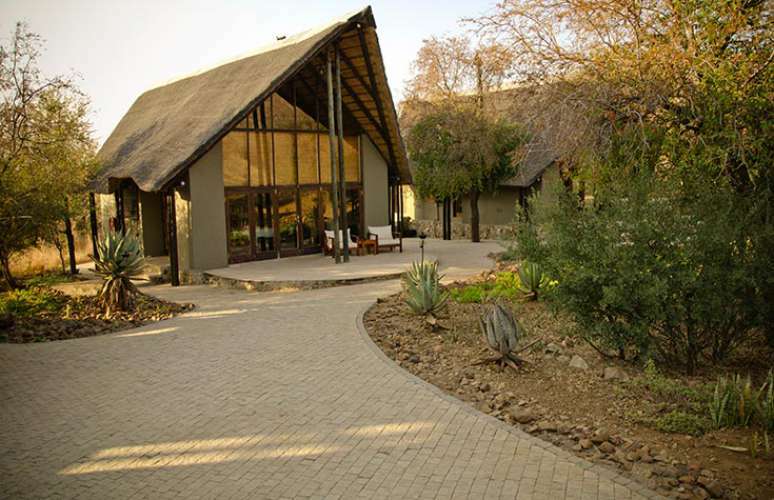 Morokolo Game Lodge is situated on the northern slopes of the Pilanesberg mountains in the Black Rhino Game Reserve, recently incorporated into the Pilanesberg National Park and boasts one the richest varieties of African wildlife, predators, fauna & flora in Africa. 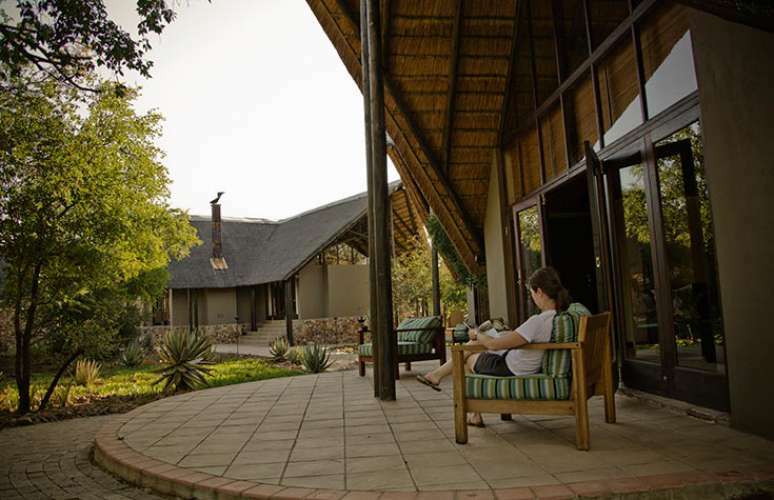 The 'Big Five' and scores of wildlife roam free around Morokolo Game Lodge, a private luxury game lodge, just 2½ hrs drive from Johannesburg. 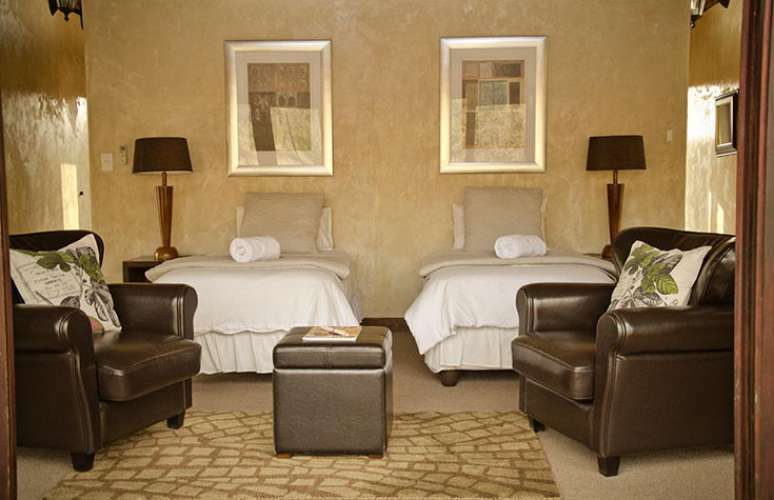 With eight luxury double suites split over 2 camps. 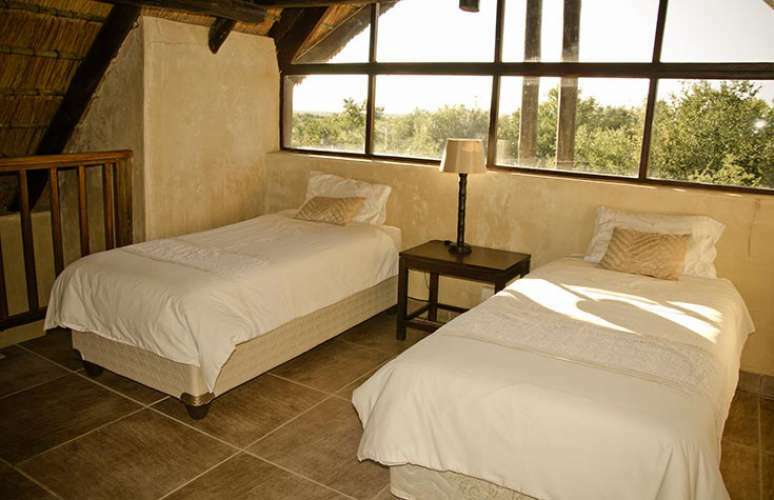 Each camp then has the identical set up, so each has an entertainment area and its own game viewing vehicle. 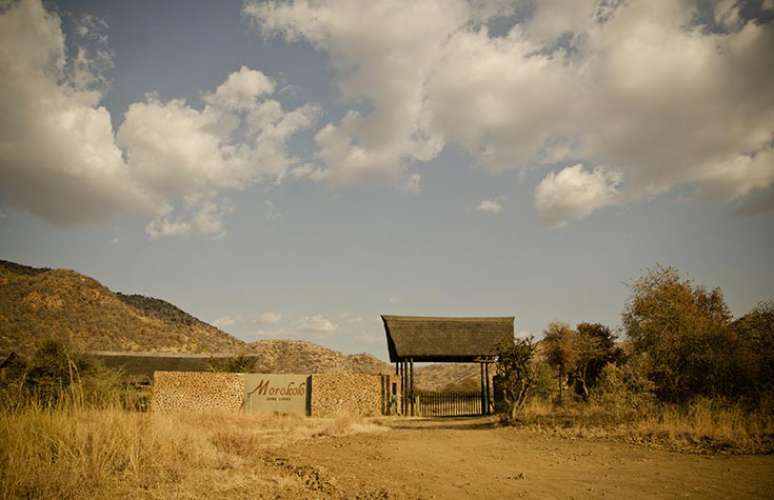 Morokolo Game Lodge is the ideal wildlife safari getaway destination for couples, families and small corporate or tourist groups throughout the year. 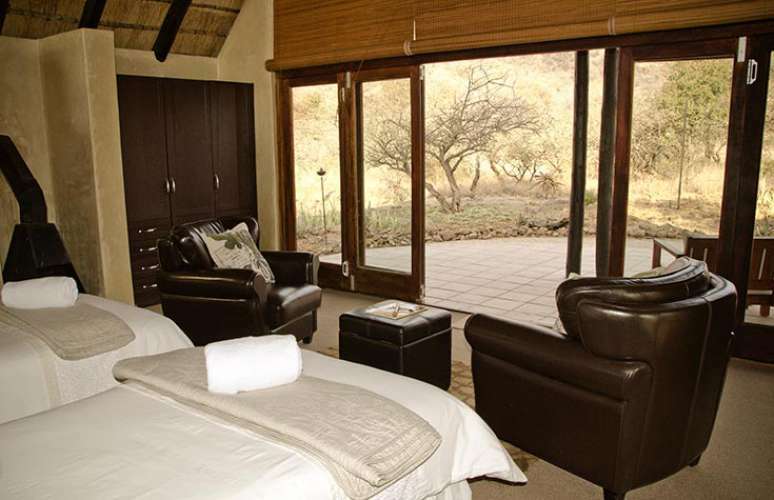 Morokolo Game Lodge is equipped with its own top-of the range 10-seater open private game driving vehicle with private game-ranger offering you full access to the Pilanesberg National Park. 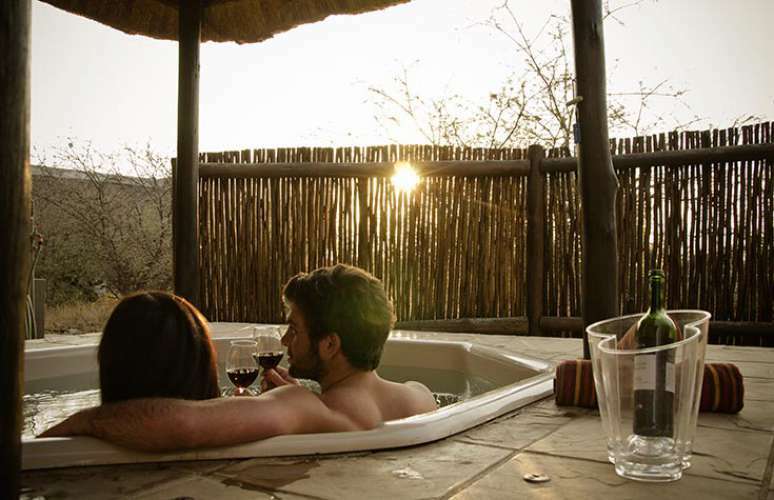 After premium game viewing under the warm African sun, plunge into the crystal clear swimming pool and relax reclined in luxury as the sun sets and the cool evening air flows over the Pilanesberg Mountains. 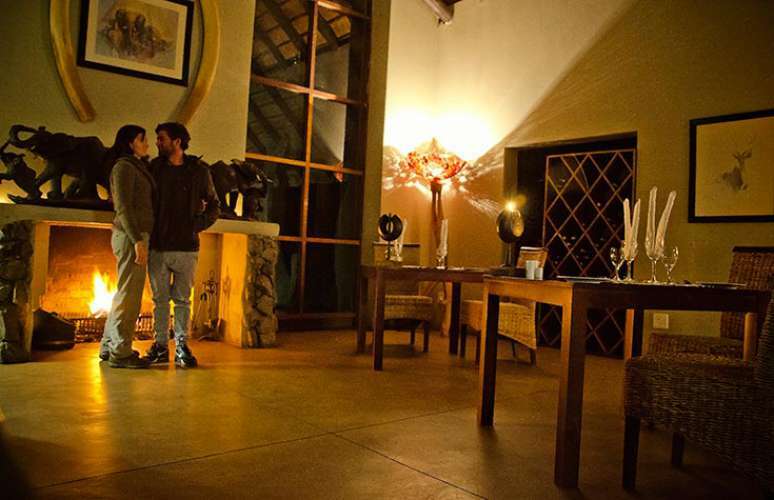 Enjoy the quality cuisine from our Reserve Restaurant (5 min drive from your lodging; all included in your daily DBB rates) or a traditional African barbeque (braai) on request at Morokolo Game Lodge. 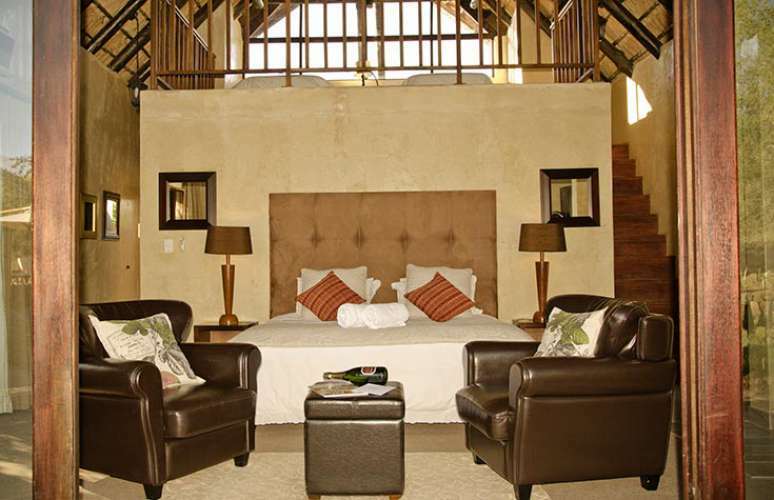 All bookings for 2 nights or more Sundays, Mondays, Tuesdays, Wednesdays and Thursdays will receive a 15% discount . 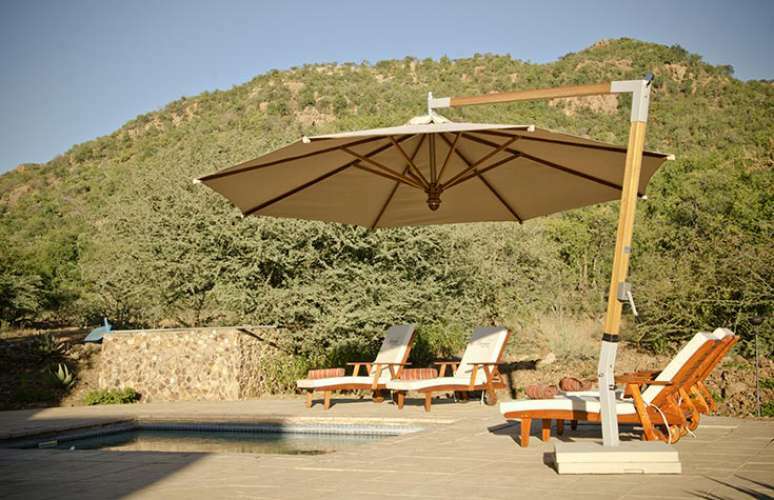 Morokolo Game Lodge provides everything you need to relax after action packed safari's. A swimming pool with recliner chairs is ideal for lazy afternoons. 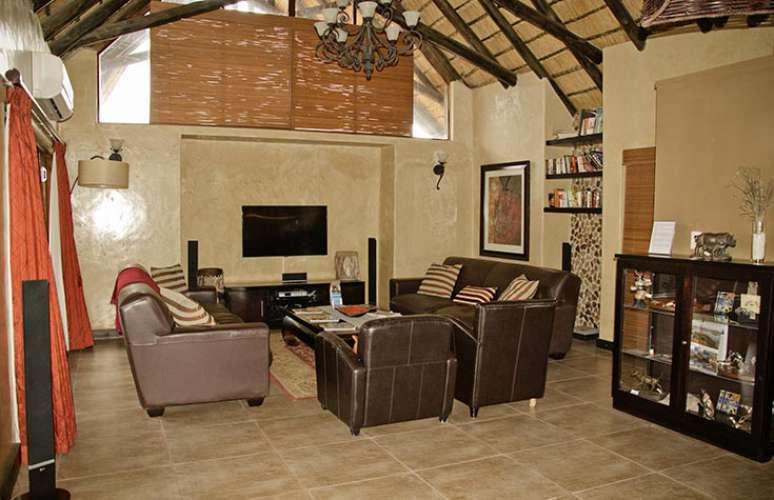 The communal area has barbecue (braai) facilities for social meals around the fire. 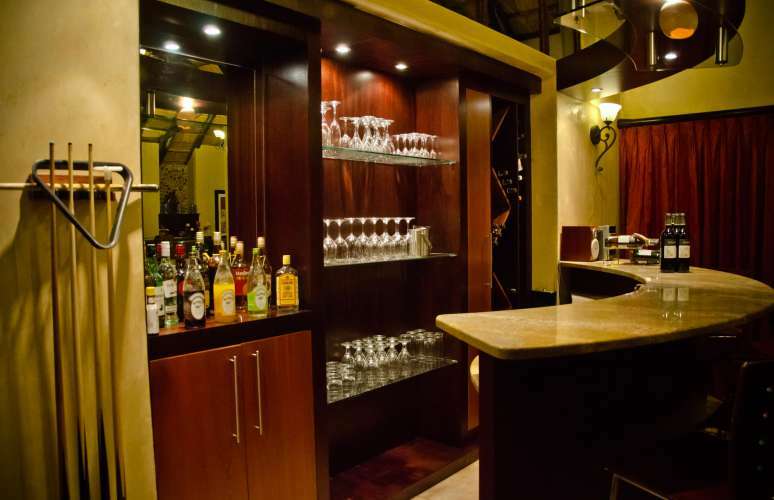 The restaurant is situated close to from the lodge boasting excellent cuisine. 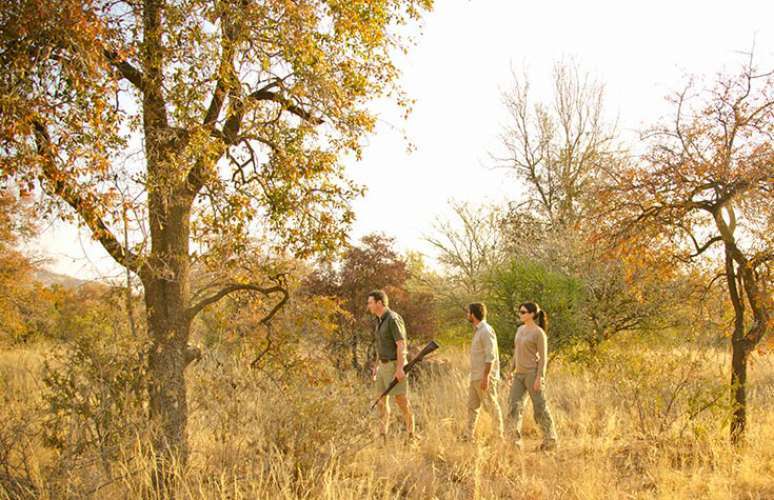 The rules governing game drives do not permit children under 6 on the game drives for their own safety. If you would like we can arrange a baby sitter to look after them at an hourly rate, and then in the morning after breakfast we take them out on their very own game drive for about 30 minutes to see what we can see at a safe distance. 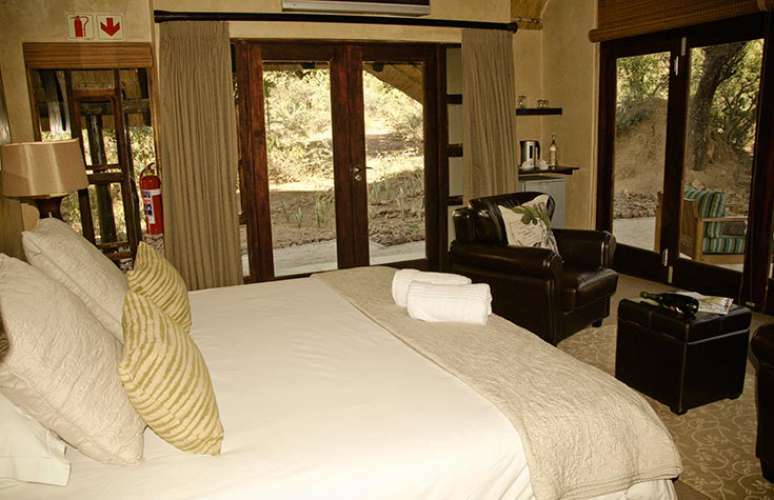 Children between 6 and 12 years are permitted to join the adult game drives at the ranger's discretion. Children under 12 yrs pay 50% of the adult rate, infants under 2 yrs stay free.